With a beautiful white surface that is easy to clean, Ghent's painted steel surface is magnetic and durable, withstanding daily use. 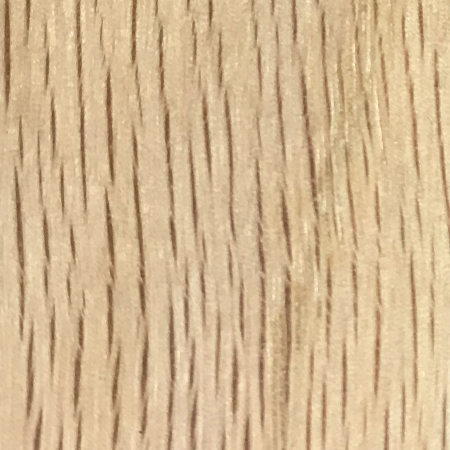 Each board is manufactured with quality materials and construction, offering you the best product with superior performance. Durable acrylic enamel steel surface is built to last and perform. 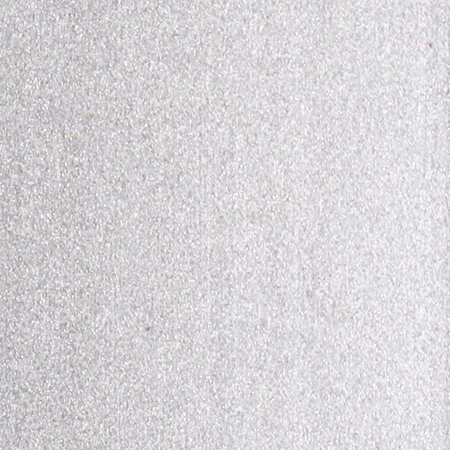 High-quality surface accepts magnets and resists scratches & stains. Detached SmartPak blade-tray for easier installation and reduced potential for damage. Available in 8 sizes, the board can be hung vertically or horizontally. Each board carries a 20-year manufacturer warranty, is made in the USA, and ships to you in our worry-free packaging. 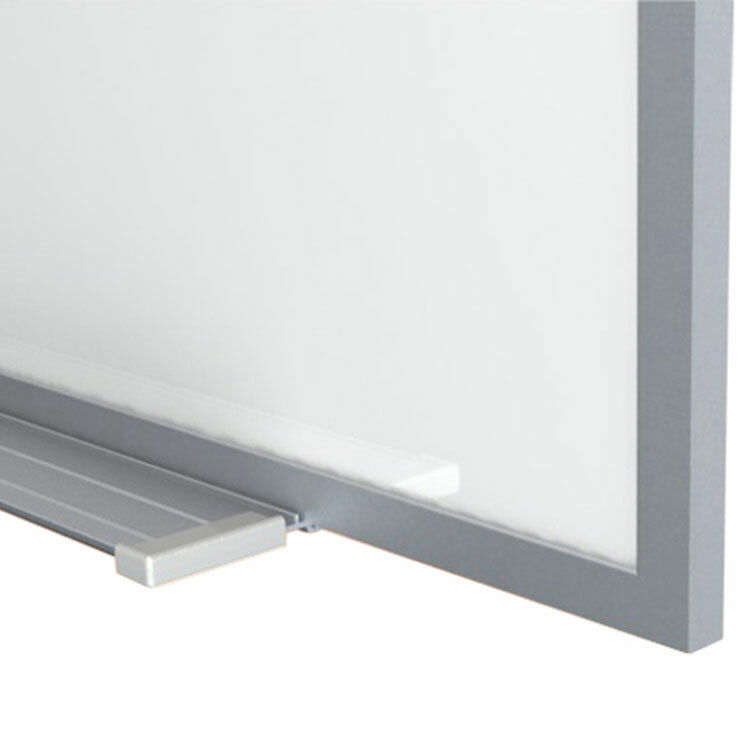 Ghent's Painted Steel Magnetic Whiteboard offers a long-lasting dry erase surface at an affordable price. The acrylic enameled steel is laminated to ¼" hardboard for added durability, ensuring it will not bow from the wall after installation. The bright white enamel coating is smooth, making it easy to erase and keep clean. 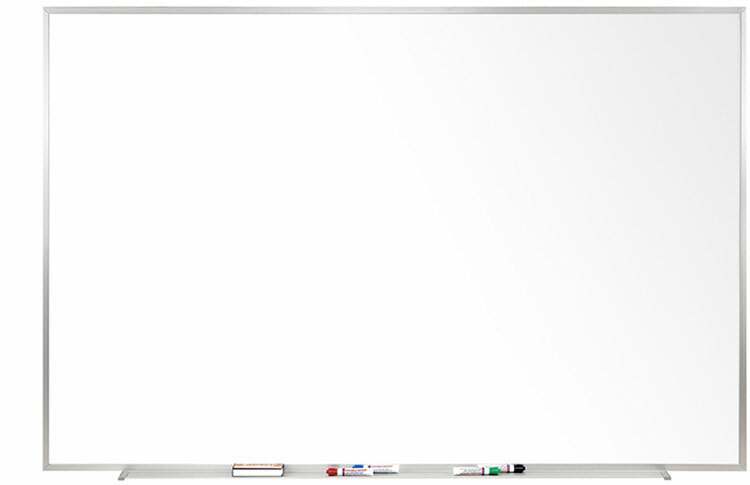 The dry erase surface resists stains and ghosting, making it a good choice for schools and offices that use whiteboards regularly. Ghent's whiteboard holds magnets and can be used to post bulletins without worrying the announcement will be erased. Boards 3'x5' and larger include 1 marker and 1 eraser. 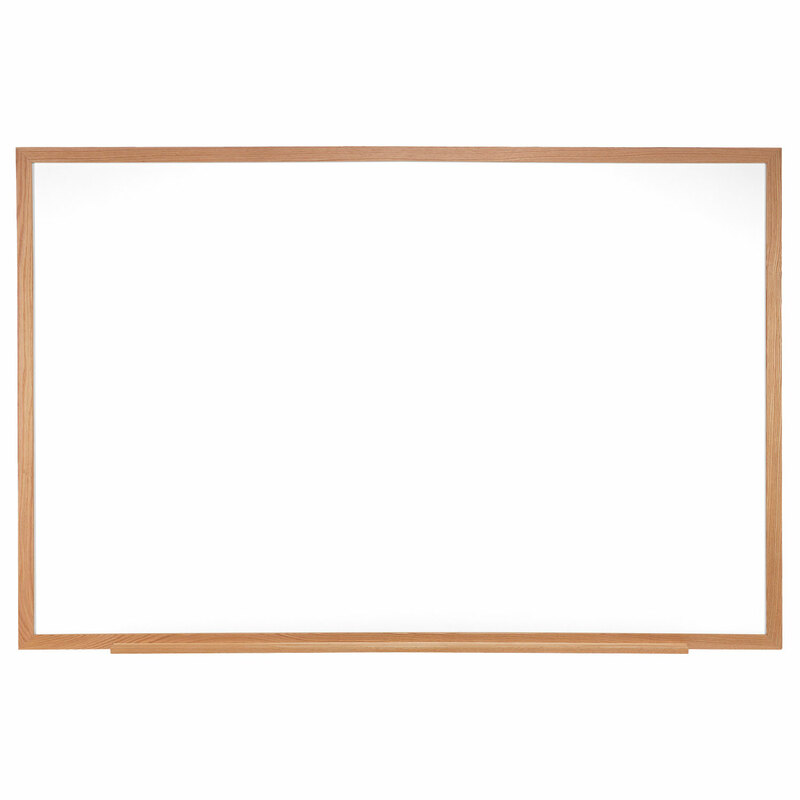 Painted Steel Whiteboard is available in eight standard sizes up to 4’x12'. Each board comes in our sleek Satin aluminum frame with an accessory tray and protective end caps. Our SmartPak tray is detached for easier installation and reduced waste and damage during delivery. Our boards are shipped to you in Ghent's worry-free packaging, designed specifically for shipping whiteboards. 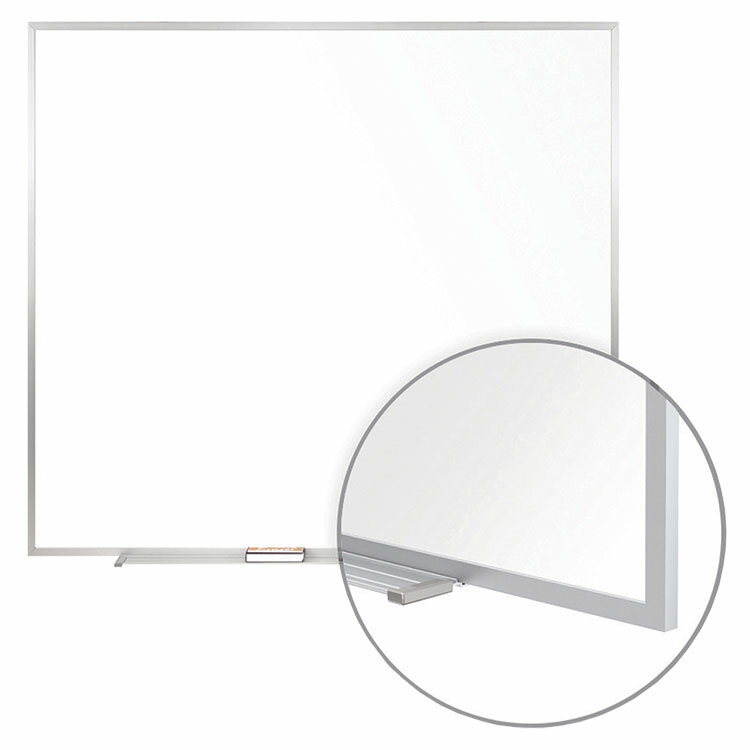 Ghent's Painted Steel Magnetic Whiteboard carries a 20-year warranty and is made in the USA.